UPMC is a $10 billion global health enterprise, that does not live up to its charitable status. 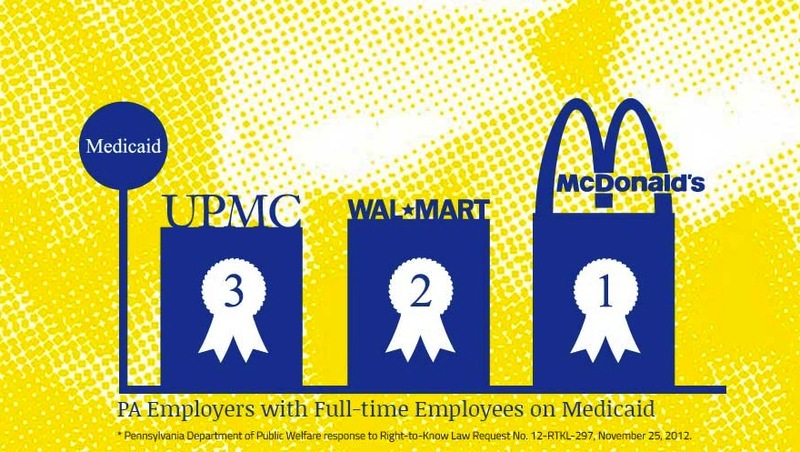 While 22 UPMC officials each make over $1 million a year, many UPMC workers in our community make only $10/hr. A unit secretary at Presbyterian Hospital with 30+ years of experience, makes only $13/hr. As the workers attempt to unionize and make living wages, UPMC has ceaselessly harassed and bullied them to try to suppress their voices. Luckily, our community won’t allow that to happen. Read about Mayor Bill Peduto’s support of the workers in the Pittsburgh Tribune Review. Tomorrow, January 20th 2014, stand in solidarity with UPMC workers! Join us at 10am in front of UPMC Presbyterian – 5th and Atwood in Pittsburgh, PA – for an MLK Day vigil where we will reflect on Dr. King’s fight for worker justice and unite around the need for UPMC to pay its workers a living wage. See the Facebook event page. 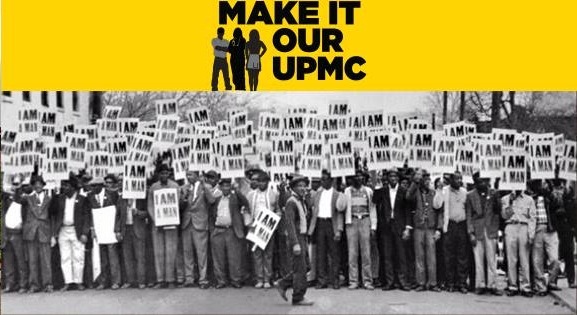 Learn more about the ongoing efforts and philosophy behind the Make It Our UPMC movement.